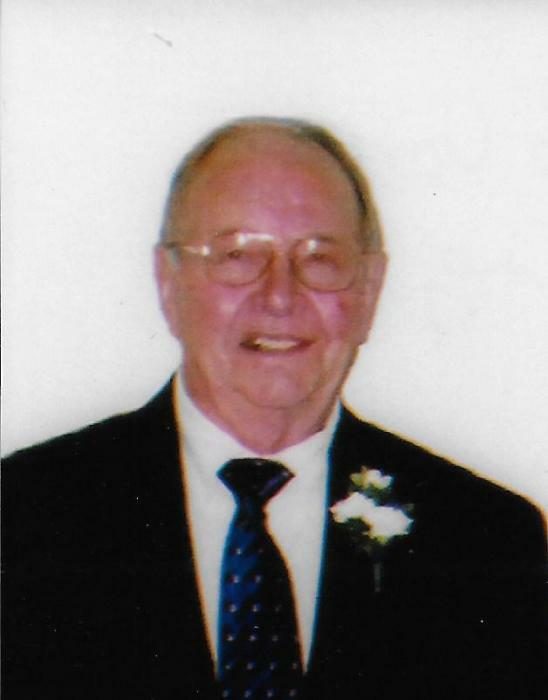 LaVern Paul Schmitt, 88, died September 23, 2018 at Wesley Medical Center in Wichita, KS. He was born June 29, 1930 to Alfons and Hildegard Werner Schmitt. He graduated from Kinsley High School and served in the Korean War for two years before returning home to Kinsley. He enjoyed farming in northern Edwards County for many years before his retirement. He is survived by his wife, LaVona Schmitt, of Hutchinson, KS, his previous spouse, Melva Jean Wyatt of Roeland Park, KS, daughters Detra Troyer of Wichita, KS, Dalyn Schmitt (Mike Hoedl) of Kansas City, MO, Darla Schmitt (Charles Herrmann)of West Chester, OH, and Darrie Hutchison (Randy) of Colorado Springs, CO ; two brothers Charles Schmitt of Kinsley, Paul Schmitt of Abilene, KS and sister Phyllis Indiek of Spearville, KS; stepdaughters, Cindy Chase and Pamela Chamberlin; twelve grandchildren, eight step-grandchildren, and numerous great grandchildren. He was preceded in death by his parents, his brothers, Harold and Alfred Schmitt and sister Jane Craft. Friends may offer condolences on Friday September 28, 2018 from 9:30 – 10:30 am at St. Nicholas Parish Hall followed by a funeral mass at the Church with Fr. John Strasser presiding. Burial will follow at St. Peter and Paul Cemetery, Kinsley. The family suggests memorials to the Arthritis Foundation or American Heart Association in care of McKillip Funeral Home, 623 Marsh Avenue, Kinsley, KS 67547.